Retails Gems are my way of describing retailers that I've come across and felt were worthy of a mention, mainly because of their certain je nes se quois, perhaps their charm or their service. I intended to only really pick up on slightly less well-known retailers and so it would seem odd, at first, that I would choose to blog about Marks & Spencer, perhaps one of the best known department stores in Britain and one that upholds the brand of "Britishness" in 51 territories throughout Europe, Asia and the Middle East. Well, that's only if you don't know about its history, and more specifically about Marks & Spencer's closely knitted alliance with Manchester, the city where I live. Firstly though, it started in Leeds, 1884, when Michael Marks opened his first Penny Bazaar. Partnering with Tom Spencer in 1894 Marks & Spencer as we know it today started life. Yada yada yada, by the turn of the century Marks & Spencer had 39 stores blah blah blah and then they both died. Now, this is where things get especially interesting. 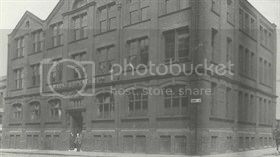 After a bit of a to-do between Simon Marks and the Executer of Spencer's Will, the ownership and control switched back to the Marks household, the company went public and opened its first registered Head Quarters just off Cheetham Hill Road in Manchester City Centre. Derby Street during the M&S years. Derby Street more recently, within Manchester's wholesale fashion district. This is where the multi-national multi-channel retailing juggernaut really got moving, excelling in all thing thrift throughout the war-years, focussing on Christian Dior's "New Look" with the introduction of ready-to-wear fashion in the 1940s and 1950s, home ware and modern cooking throughout the 70s and 80s and of course, the irresistible Christmas TV adverts throughout the 90s and naughties. M&S championed refrigerated transportation and the retail of chilled chickens in a time before Tesco, they pioneered man-made fashion fabrication and were the first retailer in Britain to operate testing laboratories, with the purpose of inventing and discovering new fabrics for apparel. Marks 'n Sparks were pretty incredible and it seems they want to keep their history alive with the unveiling of their Company Archive. Although, the affiliation between M&S and Manchester doesn't end at Derby Street. 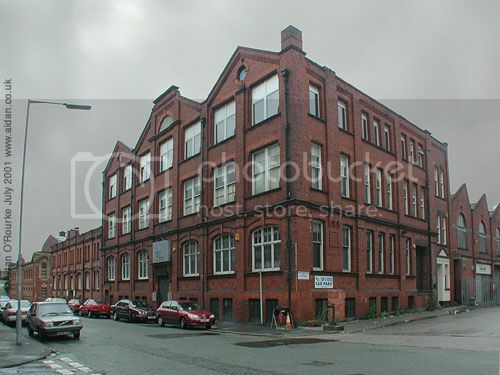 As I just mentioned, one of the brand's largest store calls Manchester its home, situated in the city centre. The store is a rebuild after the former store was obliterated in the IRA bomb attack on Manchester in 1996. Along with an estimated £700m worth of damage the Irish Republican Army took M&S from Manchester. 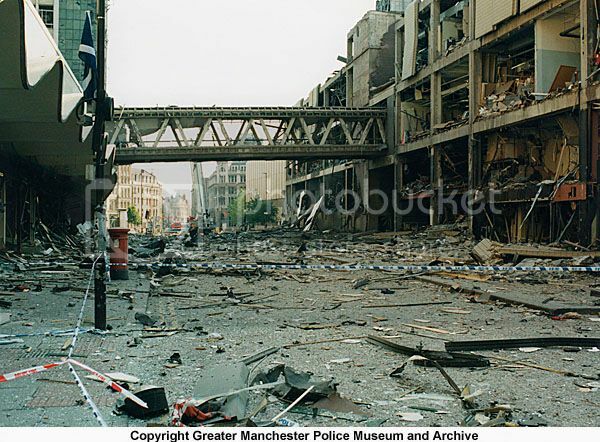 Marks & Spencer city centre flagship store in Manchester, pre-1996 IRA Bombing. Cooperation Street and the fascia of Marks & Spencer in the aftermath of the 1996 IRA bomb. Still, incredibly Greater Manchester Police managed to evacuate all 70,000+ people in the city centre at the time and whilst many were hurt, no one was killed and M&S were back in business with their new swanky store on the original footprint of their bombed-out shell, within a few years! Quite the retail gem, don't you think? 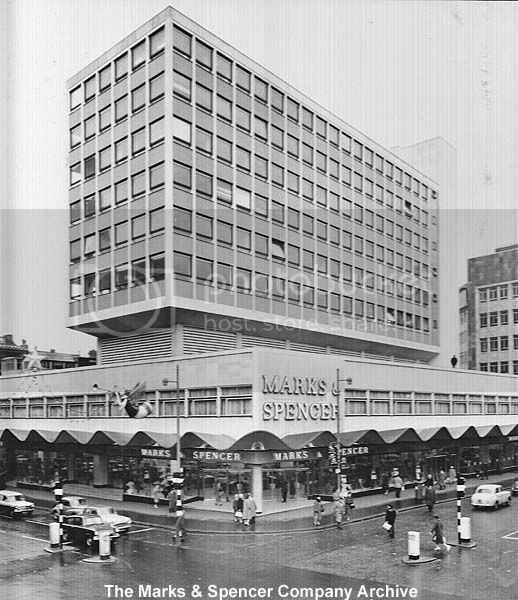 You can watch historic adverts and discover more about your M&S at the Marks In Time timeline here.